What is the need of Sales and Operations Planning(S&OP) in Supply Chain Management? 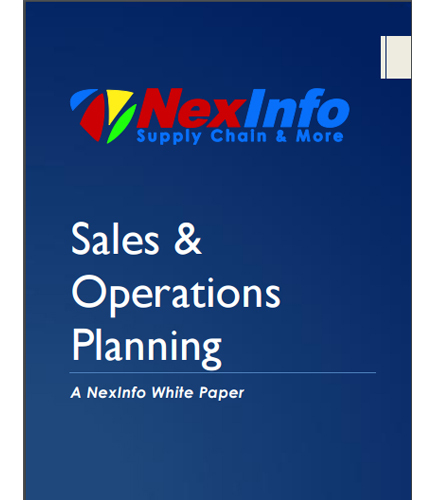 "What is the need of Sales and Operations Planning(S&OP) in Supply Chain Management?" Companies that have adopted Sales and Operations Planning (S&OP) processes are gaining the visibility and agility to improve supply and demand matching, promotional planning, and product management. S&OP helps companies achieve lower inventory costs while improving inventory visibility and reduces operational costs all while leading to a higher operating margin. Sales and operations planning process addresses key business pressures faced by the company such as-High inventory levels,Poor forecast accuracy with a bias to over forecast. Basics of S&OP in supply chain organizations. How Sales & Operations Planning Works in supply chain management and how its benefits can be reaped? An overview of a robust and established methodology that ensures the success of the Sales & Operations Planning.